teenage peer pressure kicks in. This is not a cookbook, there are no recipes – it is a reference book for GF parents but it certainly provides food for thought. 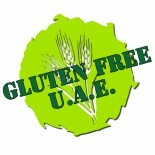 This entry was posted on 05/10/2011 by glutenfreeuae in Reviews and tagged book review, books, celiac, glutenfree, kids.